Do you try to sell everyone? Have you ever told a prospect “no, you’re the wrong fit”? Do you chase every tradeshow lead as a real sales opportunity? Do you offer white papers to your prospects that are not targeted by buyer title? My grandfather immigrated to America from the Island of Sicily, the province of Ragusa and the town of Modica, during the early twentieth century with a 5th grade education. Yet, he built a mini conglomerate of different businesses including a mink farm (for fur coats), movie theaters, liquor stores, real estate development and a candy wholesale (a fudge factory) business. He made money in all of these businesses, some more than others. As a lad growing up in Boston, he often talked to me about the family businesses and discussed how he made decisions on who to sell and who not to sell. In our family conversations, my grandfather often spoke about how many of his business peers just operated their businesses by the seat of their pants and never targeted specific segments of their customers. They didn’t think about what type of women buy “mink coats” or what type of “movies” are the most popular on Fridays. Instead, many of his business peers developed their advertising programs and sales approaches based on how the owner thought or what the competitor charged… not how the buyer thought. This is a common problem. Often companies market and sell based on their own marketing inertia doing what they have always done or based on what their competitors are doing. In many ways, the Internet has had a negative effect on marketing analysis because it is easy to see what your competition is doing and companies just copy each other. Often, it is the blind . . . leading the blind, because they are not you — and they may not be doing it right to begin with! Being large… does not mean being smarter. Look at General Motors — large… not smarter. Look at Gateway Computer — large… not smarter. Look at Coke — large… not smarter. “Owner, Author or CEO Pride” is rampant in big businesses and small. It’s not about you. Just because it is your company or just because you invented the product or service your firm sells, doesn’t mean you know everything. In a capitalist society, the market usually balances out those who make the mistake of focusing on their needs . . . not the buyer’s needs. Yet, often success and money hides mistakes. Many times, management teams will say our revenues are up 10% from last year, so we must be implementing our programs correctly. Maybe your revenues should be up 20%! In today’s economy, there are proven models to learn how to grow your business using best practices from previous economic slow downs and recessions. To see if you know who your buyer is take the Buyer Identification Audit below. Do know you who your most logical buyers are by title? Do you know who your most logical buyers are by business industry? Do you know who your most logical buyers are by annual revenue size? Do you know why your targeted prospects buy? 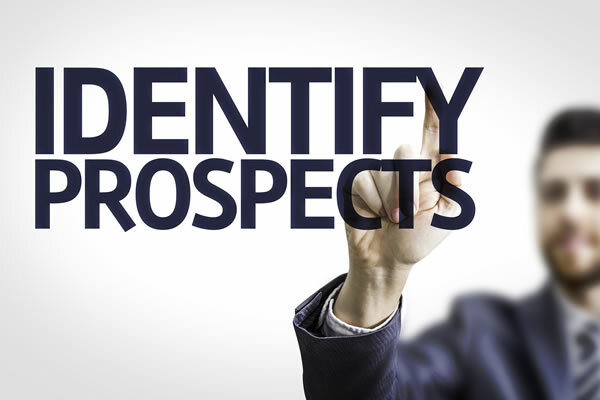 Do you know why your targeted prospects don’t buy? Do you know the monthly buying pattern of your prospects? Do you know how to create value your targeted prospects will believe? Do you base your offering’s value solely on your competition offering? Do you base all of these above questions on documented market research? These 10 questions help formulate a marketing strategy, a sales process and a corporate revenue capture program that grows companies. My grandfather knew these answers despite not having an education past the 5th grade. He knew enough in 1917 to set up food concession stands in thirty silent movie tents all over Boston to sell fudge on ice. He knew enough that when the theater owners told him they wanted to control their own food concessions, he went into wholesale distribution to supply them. He was smart enough to know that mink farming in the 1930’s was a big market and then smart enough again to get out of the business, when fur items went out of favor with women buyers and so he turned the mink farm into commercial land development. He was a simple immigrant — a street guy who thought about how to invest his money before he spent it. Why is it so hard for the rest of us — educated and experienced — to know who our buyer is?